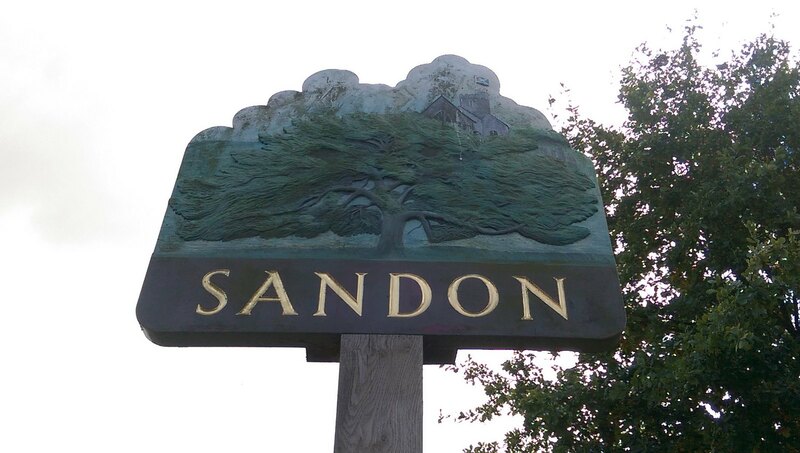 Sandon village sign was placed on the green to commemorate the centenary of the Sandon Oak which was planted to celebrate Queen Victoria's golden jubilee in 1887. Sadly, after many years of suffering from an incurable tree fungus, the tree collapsed under its own weight in 2001. Footage of the aftermath from the collapse can be found here. In 2002 a rare Spanish Oak was planted to replace the grand old oak and this remains in situ today. In order to find this cache, you will need to locate the village sign and take note of the plaque on the pole. A= How many words are in the first line of the inscription? B= How many letters are in the larger sized line (the sixth) of the inscription? C= How many screws hold the plaque in place? D= How many times is 'AND' used? In the cache you will find a number which will help you find VS#869 Chelmsford. Make sure you note this down! Fubhyq or boivbhf - onfr bs cbyr!